3rd portion (2013-2016) is about the integration of the changes and activation of the codes (it began with a very difficult time right after Gaia and Pi switched places, an integration of Pi’s new energies and the time of choice – to go into the further processing, into social and tribal energies, or to go into internal awareness and conscious awakening, which brought with it a good amount of solitude). 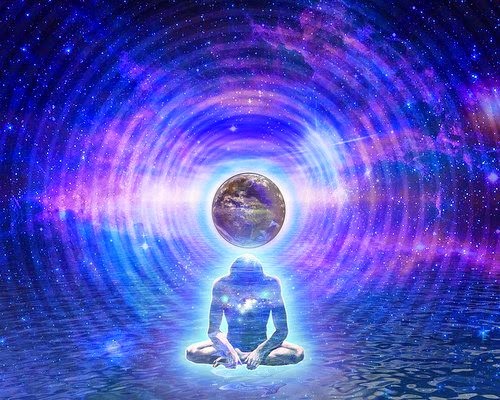 A smaller download is from November 2014 through February 2015 (within the 3rd portion of the 1998-2016 “portal time”) – an opening in time-space, facilitating the activation of consciousness among the people ready for it. Yes, mostly the ones already prepared to enter that range – not everyone, unfortunately. The pressure we had all been feeling about the planetary expansion of consciousness range, the push into more self-responsible behavior and self-loving way of being – that does affect everyone. It triggers human beings into awakening – for some that means “working with the issues they know about already due to the past spiritual self-work”, for others “facing the issues they did not know they had”, and for the rest “feeling under attack from some perceived external enemy and defending their survival”. For the starseed and earthling “forerunners of ascension” this means a multitude of extreme internal changes (psychological, energetic, and physical). For the regular human beings who are either just beginning the process of awakening or are still on the descent into density involution path this means – fear responses, power struggles, confusion and painful lessons. Portal means an opening – so the opening to what? Well, the 1998-2016 is the opening to the speeding up energy of our own galaxy, the dispersion of the accumulated patterns of spiritual pathways awakening (in different species these look different). The smaller intense “portals” during this period are about a particular download related to our species – humans – and these directly affect the starseed and earthling “forerunners of ascension” the most, since they are the ones able to receive the majority of these patterns. To receive a pattern there must be an energy circuitry built through the spiritual awakening work. If you have been using your #SoulWorkTools, working with your issues of fears, projections, “separation from Source anxiety” (my guides call it that – love that term! ), accumulated pain and distortions of illusion – then you have been preparing yourself for these downloads. The Codes of Light – the DNA codes of our original template prior to manipulation – are pre-installed, but we must be in a higher vibratory state in order to activate them. This is exactly what these galactic downloads are all about – they activate the dormant Light Codes in the ones who have done the work to build the circuitry of consciousness in their physical bodies and energy systems. Obviously, we are all at different places within this process – some are being actively triggered into their issues in order to face them, others are clearing habitual already-known patterns, others are actively building new spiritual circuitry by allowing their body and energy system go through intense transformatory metamorphosis, and so on. This metaphysical spiritual process leads to proper reception of the downloads, which then activate the Light Codes. Being in full presence in the 3rd portion of the “portal time” (2013-2016) is the proper state for receiving these galactic downloads and means this: we have no one else but ourselves as creators of everything we perceive – the responsibility for the Self must be absolute. This is based on our connectedness with the Oneness and a strong confident presence of our unique personal Self (now that we are disconnected from the social consciousness!) – in other words, the Individualized Oneness, or the Unity Consciousness. The closer we are to that state, the more we are able to receive these downloads and further activate the Light Codes. These Light Codes are meant to eventually move us out of the material density into a more expanded format of being. absolute self-responsibility means in your thoughts, feelings, actions, beliefs.